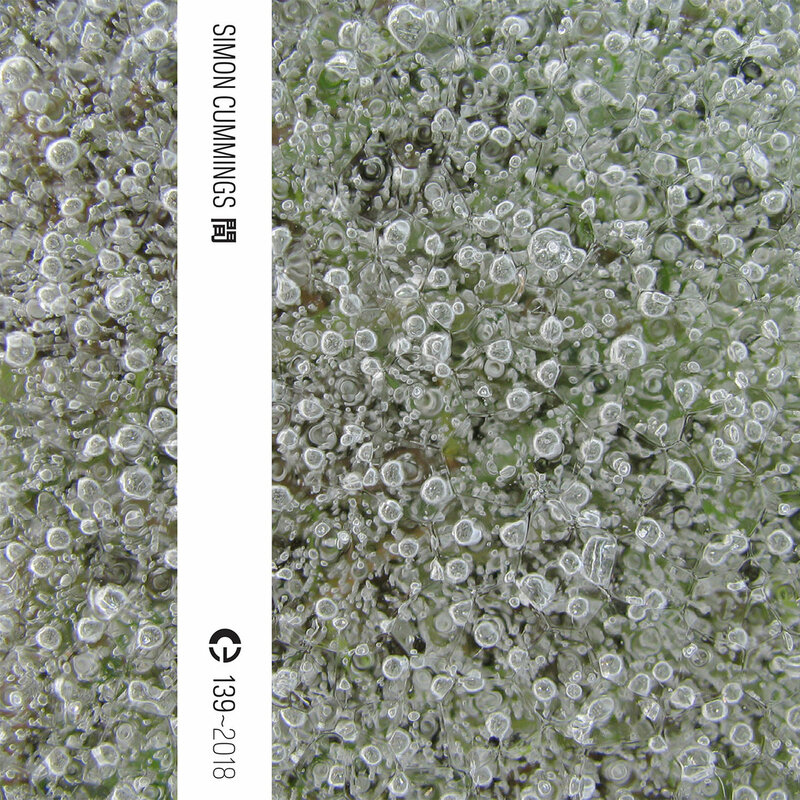 In a few days’ time, my most recent cycle of electronic music will be released by the adventurous Portuguese label, Crónica. The title of the cycle is the Japanese word 間 (ma), which is difficult easily to translate into English. The concept it embodies is a spatial one, specifically the gap between two discrete structural parts or elements, with associated connotations of an interval or pause. In his book Silence in Philosophy, Literature, and Art, Steven Bindeman has described 間 as “the simultaneous awareness of form and non-form … Ma is not created by compositional elements, but takes place in the imagination of someone who experiences these elements. Therefore it can best be defined as the experiential place that is held by an interval.” As such, 間 is often regarded as an embodiment of ‘negative space’, where the apparent absence of substance or form or sound is rendered concrete and tangible. Those of you who have followed my work over the years may occasionally have heard or seen reference to something i was working on with a provisional title ‘TACET.’, which was originally intended to be an enormous project containing many hours of music. However, as this music was born out of and confronts a very difficult and painful period of my life, i eventually realised that it wasn’t particularly healthy to persist with the project beyond a certain point. My response to this period took shape through meditation on the concept of 間, in which silence is not a simple absence or emptiness but rather becomes a focal point, with a shape, character, and energy that all contribute to a larger whole. The composition process began with recordings that i made during a traditional Anglican service of Evensong. Everything was then removed from the recordings with the exception of the brief silences that fall between the various sections of the service, fragments of sound capturing echoes, resonances, and glimpses of ambience. These fragments were then used as the sound palette for a series of improvisations that formed the basis for each of the pieces in the cycle. They were subjected to extensive processing and sculpting, and are only occasionally heard in their raw state. The concept of 間 implies a certain degree of tranquillity and calm, but the emphasis in this music is focused on connotations of negativity. Put simply, this is (from my perspective, at least) angry music, veering between nervous, fretful twitching and unbridled, distorted ferocity. Rage and obsession are recurring traits throughout, manifesting in harsh, acidic, repetitive clatter and throbbing pulses, and even in the more quiet passages – of which there are very many – the music is designed to emphasise tension, unrest and a pervading sense of ominous dread. Listening through headphones or in an extremely quiet space is especially recommended due to the quiet and subtle material that features in some of the pieces. O visible beatitude sweet sweet intolerable! There is, i hope, some semblance of catharsis running through the cycle, and despite my above description of the nature of the music, there’s also a great deal of beauty – and, at the last, peace – to be found along the way. Crónica are releasing 間 as a limited edition cassette (containing a miniature bonus track hidden at the very end of side B, which encapsulates the essence of the entire cycle) as well as a digital download. Further details and information can be found on the Crónica website as well as their Bandcamp page. i also have a small supply of the cassettes, so if you’d prefer to buy them directly from me (£7 plus postage), then just send me a message either from here or here. Deadline: 17.00 (GMT), Friday 12th January 2018. 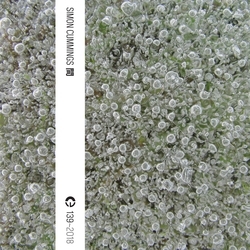 In the forty years since the release of Brian Eno’s Music for Airports the concept and aesthetics of ambient music have proliferated, influencing artists as diverse as Taylor Deupree, Steven Wilson, David Lynch and The Orb, infusing drone, microsound, minimalism and experimental electronic music as well as aspects of contemporary instrumental music. The aim of this two-day conference is to re-appraise ambient music in relation to Eno’s milestone release. b. performance and paper (10 minute per performance, 10 minute presentation with 10 minutes for questions). The committee welcomes proposals from academics, independent scholars, research students and practitioners. 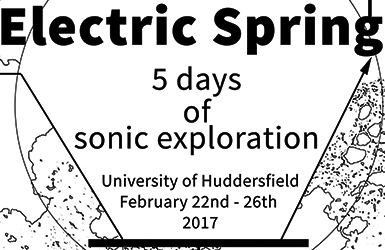 The conference will run alongside the Electric Spring Festival (www.electricspring.co.uk) and an evening concert on Saturday 24th February at the Festival will close the conference. The program committee will also invite a selection of those giving papers to write them up in the months following the conference (deadline June 2018) as book chapters for publication in late 2018 / early 2019. All proposals should be submitted to Prof. Monty Adkins (m.adkins@hud.ac.uk) by the deadline, Friday 12th January 2018 (17.00, GMT). Individual paper submissions should include an abstract (350 words) and an author biography (200 words). Performance and paper submissions should include a brief overview of the audio presentation including technical resources required (300 words), links to online samples of audio work, an abstract (350 words) and an author biography (200 words). The committee aims to notify proposal authors of its decision by Friday 19th January 2018. Those selected will be asked to confirm their acceptance and technical setup. The full programme will be announced online and booking opened on Monday 22nd January 2018. The Ambient@40 conference registration fee will be £50 (£30 for students/concessions). It’s been a while since my last CD release, so i’m especially pleased to announce that, a few days ago, i brought out a new EP, the first in an ongoing series. Those of you familiar with my earlier electronic work will know that there’s been a tendency to embrace extremes. My last two discs, Night Liminal and Dither • Pother • Roil exemplify that pretty strongly. For the last couple of years, my electronic music has turned away from this mode of expression, focusing instead on a more indirect, allusive type of utterance, which has its roots in one of my earliest electronic pieces, Triptych, May/July 2009, as well as the Simulated Music cycle. 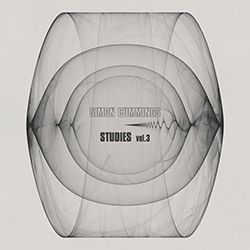 This has resulted in a growing collection of Studies, pieces that primarily explore my interest in structuring sound materials from an initially visual perspective, many of which i regard as something that might be called ‘Op Music’, a sonic equivalent of Op Art. 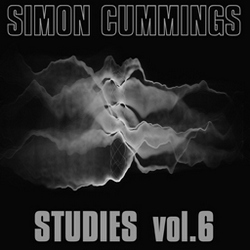 Diverse in character, some highly abstract, others moving through clear progressions and processes of evolution and development, these Studies are all entirely synthetic, sculpted from raw electronic sounds without use of existing sound materials. As in much of my earlier work, the juxtaposition of pitch and noise and the reappraisal of what defines each (and their boundaries) continue to be recurring features of these pieces. 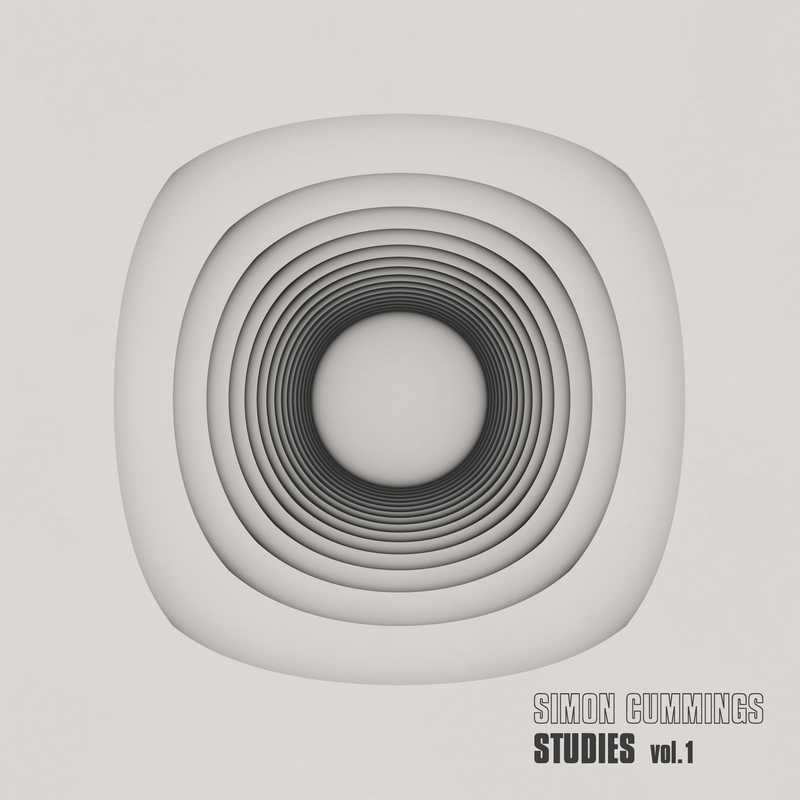 i’ll be making a selection of these Studies available in an ongoing series of digital-only EPs, the first of which, vol. 1, is now available, from my Bandcamp site (which includes lossless) as well as iTunes and Google Play. For those of you who like to try before you buy, the EP can be streamed via Spotify (embed below). 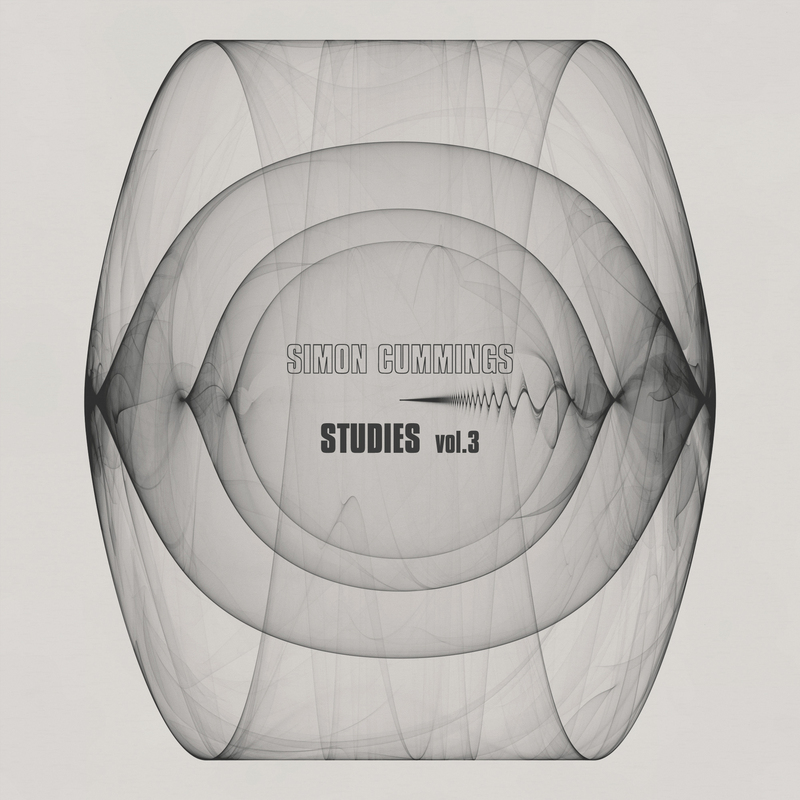 The accompanying artwork is by the Polish generative artist Tomasz Sulej, whose work i find inspiring and very beautiful, and which makes a perfect analogue for the soundworld of the Studies. Further volumes of these pieces will be released during the months ahead. i’m off to Sweden to catch a few days of the Baltic Sea Festival (including the world première of Sven-David Sandström’s new opera The Performance tomorrow afternoon), so reviews of the Proms premières will continue when i’m back later next week. i’m away this week, living it up in Lincolnshire on the Rarescale composition/flute summer school. Proms reviews will continue at the weekend. i’m now heading off to Sweden for a week-and-a-bit; once i’m back, belated coverage of the Proms premières will begin.